Friday nights are for chicken wings, cheeky banter, live music and a stiff whiskey, so you must check out one of the many live music venues the Valley has on offer. To narrow down your choices, we’ve found you a few of the most banging joints. 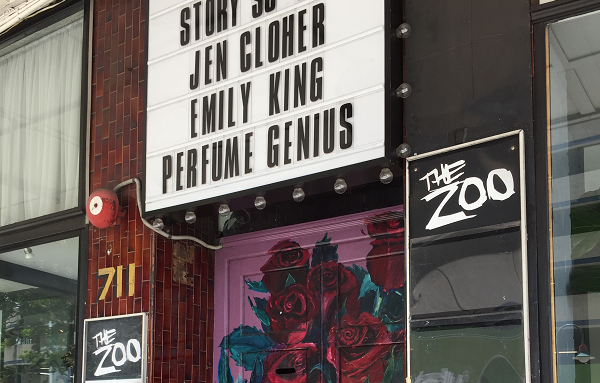 The Zoo supports emerging artists and has seen the humble beginnings of many now-famous-stars, including John Butler Trio, Angus and Julia Stone, British India, Birds of Tokyo, Vanessa Amarosi, Tame Impala, Violent Soho, 360, Vance Joy and Lorde. The Zoo doesn’t discriminate; you’ll be exposed to all tunes hip hop, jazz, rock, acoustic, folk, dub and reggae. As well as the killer music, The Zoo also hosts awards nights, fundraisers, product launches, fashion parades, and a whole lot more. All of the city’s biggest gigs hit up The Woolly Mammoth, making it a hub of entertainment at least three nights a week. The Woolly Mammoth is also home to comedy, burlesque, giant jenga and outdoor bocce. The 31 craft beer taps will get you in the doors, but the cracking menu will have you coming back for more. The kitchen boasts a rustic food-off-the-bone menu that will cure all intensities of hunger. So come boogie your heart out to some killer beats, and treat yourself to the very best drinks and eats. This candlelit cocktail bar has stood the test of time, and looks exactly how you’d imagine it, styled as an oversized cosy hunting cabin. With a particular taste in music, Black Bear Lodge produce only the most stellar line-ups, and with an impressive array of bevvies, you can sip on a whiskey, rock out on the dance floor and soak up this cosy addition to the inner city nightlife. Heya Bar is an underground bar with everything from retro pinball, South East Asian-inspired eats and four bars, including the clear hero Tiki Tiki Gai Bar, with more cocktail choices than you can poke a tiki torch at. If that isn’t enough, Heya has a hot line-up of gigs in a variety of musical genres, guaranteed to have you partying until the early hours. The beers and tunes come from as close to home as Byron Bay and as far as the USA. If that doesn’t tickle your fancy, Heya is also known for their top notch finger-lickin’ fried-chicken and cheeseburger spring rolls. Now that’s some fusion cuisine we can really get behind! Mosey on down to The Foundry for a drink and a dance with some of Australia’s best live music and late night DJs. Designed and built by musicians and home to 20 creative art studios, the venue holds up to 350 people and specialises in all things indie, pop, rock and electronic. Step into the dimly lit industrial bar, pull up a distressed leather stool, order yourself a schooner and let the good times roll. After you check out the sweet set-up, enjoy your night lingering on the back deck or shooting some pool. Stay tuned for info on the new addition to The Foundry’s rabbit warren of eclectic spaces, ‘Bowie Room’ set to open later this month. 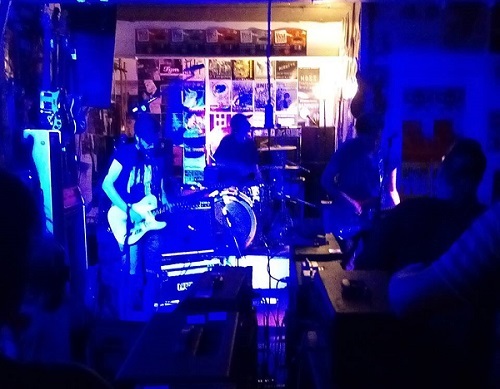 You know Tym Guitars for their epic selection of guitars and vinyl records, but did you know the store also has a fully equipped live stage and performance area? It’s decked out with the best gear for hire including guitars, basses, effects and amps, as well as a custom-built PA and audio system. To top things off, musicians can record their intimate shows in a private space, with full multi-track studio quality recording facilities available, which is perfect for touring bands. Whether you’re a gig aficionado or a budding artist, the Valley’s live music scene is a cut above the rest.